It appears that two or three vehicles were involved in the collision, and first responders had to help extricate someone from one of the vehicles. Fire personnel, police and two ambulances attended the scene, and we will update with additional information as able. Update 9.10pm: The Fire Service said that the collision included a motorcycle rider, car, truck and three bystanders, and resulted in three people being taken to hospital. 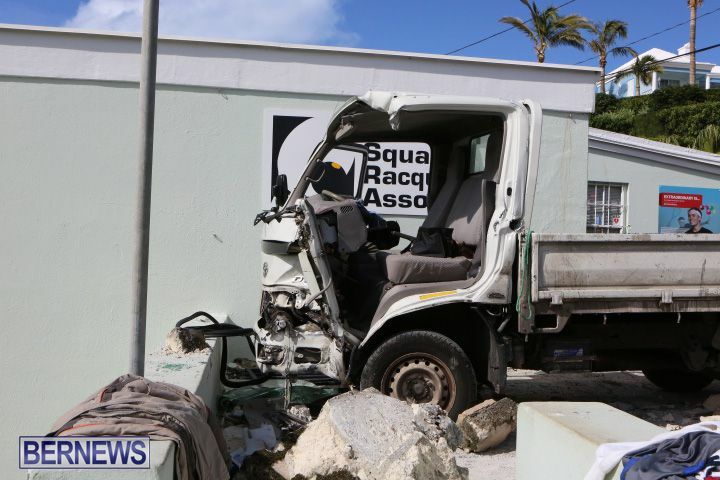 The BFRS said, “At approximately 1:25pm on Saturday, February 21, 2015, the Bermuda Fire and Rescue Service responded to a report of a multiple vehicle collision near the junction of Hermitage Road and Middle Road in Devonshire. 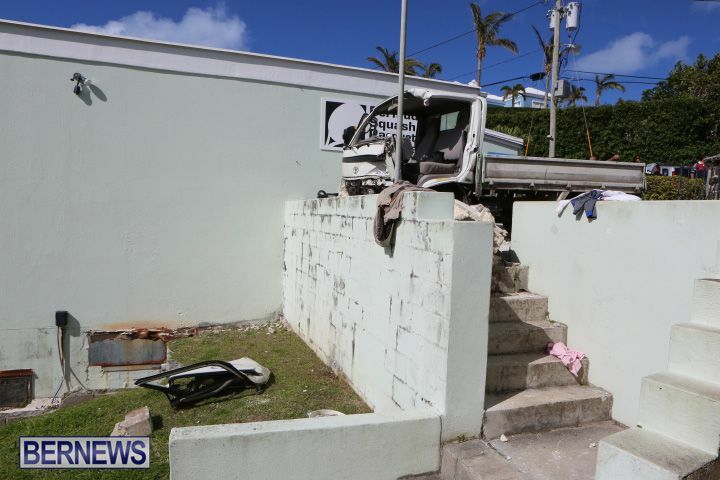 The Fire Service responded to the incident with one vehicle and four personnel. 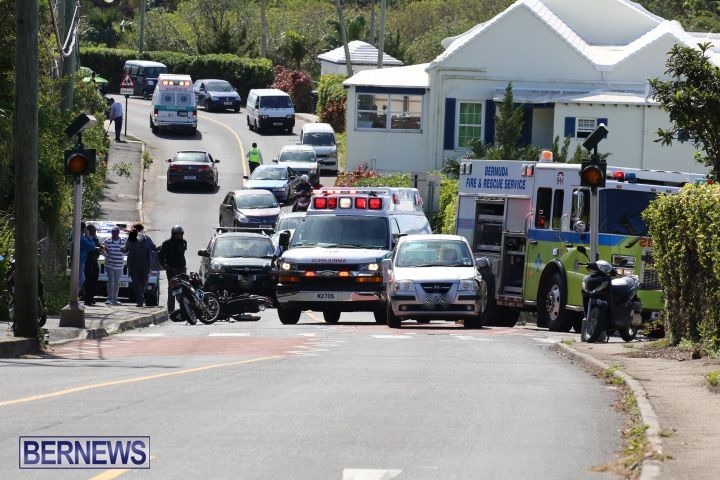 Fire Service spokesperson Sergeant Russann Francis said, “There were multiple persons involved at this accident, including a motorcycle rider, car and truck passengers and three bystanders. 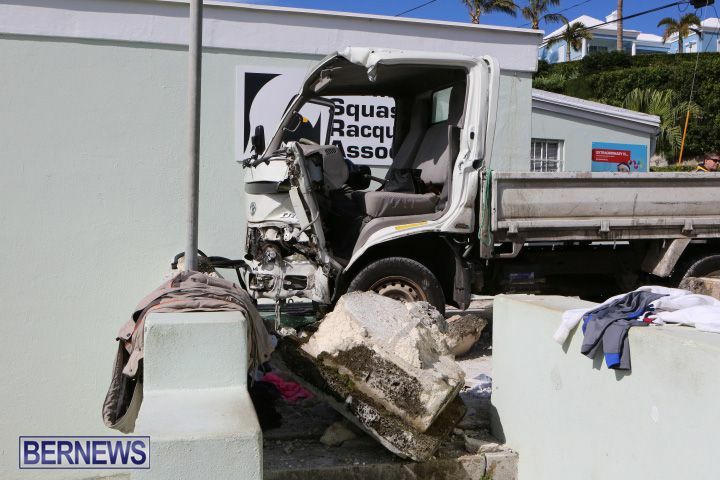 “There were three vehicles reported to have collided, leaving one passenger trapped and requiring Fire Service personnel to utilize the “Jaws-of-Life” to extricate them to safety. 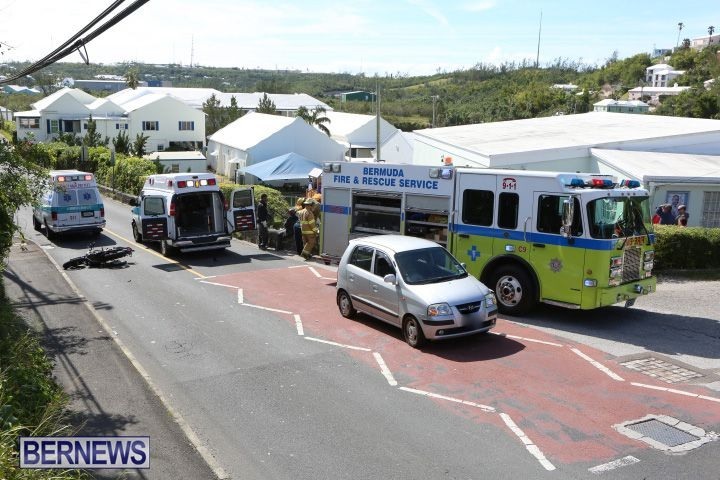 “Fire Service Emergency Medical Technicians [EMTs], along with KEMH EMTs quickly assessed those involved prior to the ambulance transporting three persons to King Edward Memorial Hospital. Good thing he didn’t go right over the wall. He looks a bit squashed. same story again and again. please, take a breath, slow down, just a little…. you don’t have to crawl along, just give yourself a break and enjoy the ride a bit. i’m trying that myself, and i find i’m less stressed overall. Late for his squash game! Real funny you fool. Suppose that had happened as kids were leaving following their afternoon lessons?? they get a front row seat about the effects of SPEEDING! Yes I was worried about that too as the junior programme is very busy on Saturday afternoons! Well fool, the fool driving wouldve suffered more consequences! Wether it was children leaving,or someone going across the pedestrian do the think the van driver was worried about that. Not sure what you are trying to say Islandtwit. English clearly was not your best subject. Thank you Lord that no children were hurt. If there was no fault found with the truck and no medical condition found with the driver then the driver needs a good talking to and charges laid on him by the Police. This is totally unacceptable and we as a communtiy should not accept this as the norm. 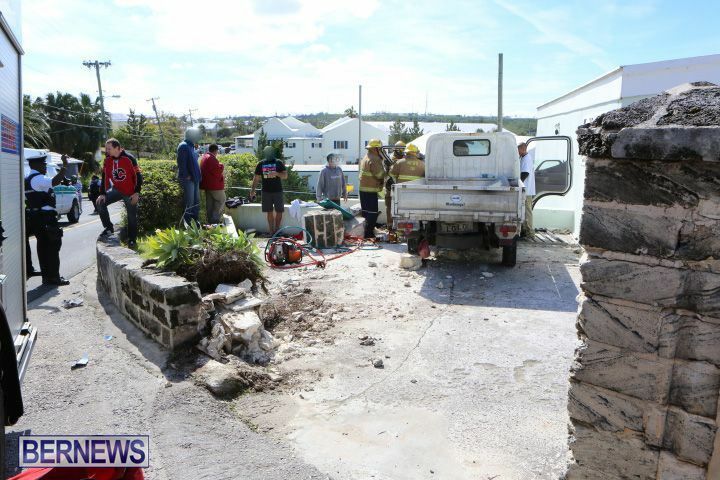 Middle Road, Devonshire is showing the evidence of our brutal driving habits – the number of walls knocked down in a 1-2 mile stretch is shameful! It seems that these accidents always happen at 35kph, because when Police ask how fast were you going, the response is always “about 35k’s” maybe the speed limit should be higher to stop these 35k’s accidents. Just saying…………………..